A federal judge on Friday said the Trump administration was solely responsible for reuniting hundreds of children who remain separated from the parents after being split at the U.S.-Mexico border, puncturing a government plan that put the onus on the American Civil Liberties Union. 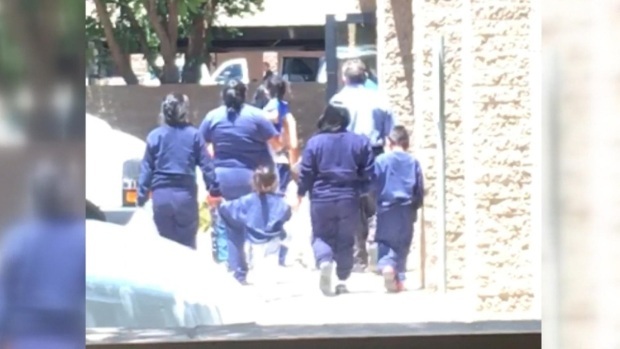 "The reality is that for every parent that is not located, there will be a permanently orphaned child and that is 100 percent the responsibility of the administration," U.S. District Judge Dana Sabraw said. His remarks in a conference call came a day after the administration and the American Civil Liberties Union submitted widely divergent plans on how to reunify more than 500 still-separated children, including 410 with parents outside the United States. The government proposed Thursday that the ACLU, which represents parents, use its "considerable resources" to find parents in their home countries, predominantly Guatemala and Honduras. The Justice Department said in a court filing that the State Department has begun talks with foreign governments on how the administration may be able to aid the effort. Sabraw said he was disappointed with the court filing "in the respect that there's not a plan that has been proposed." He said he would order the government to name someone to lead the effort. "This is going to be a significant undertaking, and it's clear that there has to be one person in charge," he said. Left unresolved Friday was a temporary halt on deporting reunified families that Sabraw imposed on July 16 to allow time to address another dispute. The ACLU has asked that families have at least a week to decide if they want to seek asylum after they are reunited with their children, a step that the administration opposes. Sabraw said he wanted to wait to see how a federal judge in Washington, D. C., rules on a lawsuit that also seeks a temporary halt on deportations. If that judge transfers the case to San Diego, Sabraw said he planned to convene a hearing next week for oral arguments. In late June, Sabraw ordered that more than 2,500 children rejoin their parents by July 26. Hundreds remain apart, however, mainly because their many of those parents are outside the country.